Mother’s Day is a day celebrating and honoring moms, as well as motherhood, maternal instincts, bonds and the influence of mothers in our society. 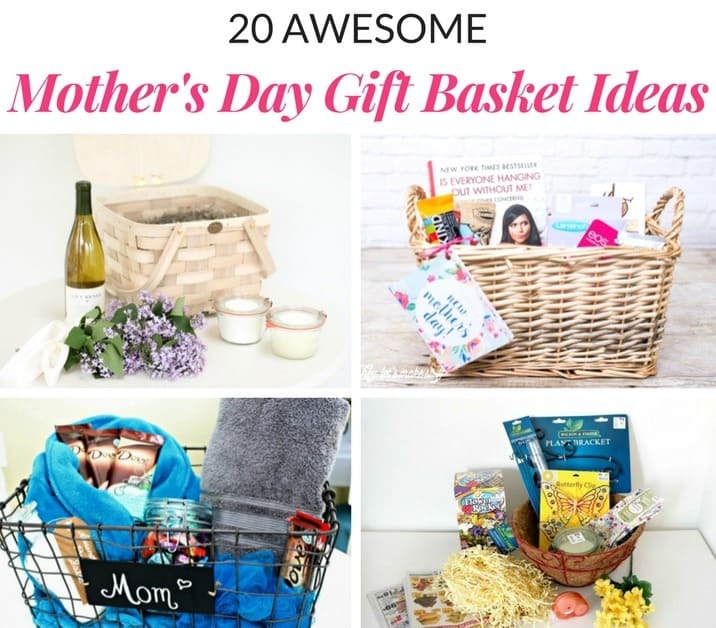 Mother’s Day Gift Basket Ideas that moms love are so much fun to make! Check out some favorite ideas that are awesome, affordable, and always loved! This gift basket idea is the perfect gift for first-time moms to help them recharge from sleepless, difficult nights. Include loofahs, bath crystals, and scented candles for a relaxing time. This Mothers Day gift basket idea is so much fun to put together. It’s great for a friend, sister, mom, daughter or even a birthday! Add everything pink from bubble gum to nail polish. Such a fun way to give a great practical gift but also a fun way to spend some time with your mom. Pack a picnic basket with a blanket or throw, cloth napkins, and reusable cups. Start with a fun container and fill it with all things mom loves. Her favorite soap, lip balm, hand lotion, and coffee beans. Create a relaxation basket for mom. Add great items like a scented candle, bath bomb, bath salts and a delicious glass of wine! A spa gift card is what every mom deserves, but it can be pricey. Make your own spa at home by adding brand new luxury towels, and delicious chocolates to this gift basket. DIY bath salts added to a gift basket is perfect for the mom in your life who deserves a little TLC and pampering! Add a pumice stone and manicure set to this Mother’s Day gift basket so that mom can take care of herself. Pretty it up with a printable tag too! Wine and flowers make this simple Mothers Day gift basket gorgeous! Any mom would love to receive this thoughtful gift. This gift basket idea is personalized and the perfect gift for mom. With only 4 steps and 5 items, this is a great last minute gift idea. A DIY Spa Gift Basket is the perfect way to show appreciation for any woman in your life. This would make a great end of school gift idea for a female teacher as well! Wine and chocolate. I think most moms can agree on a gift basket with delicious chocolate and a rich, wine would be a great stress reliever at the end of the day. This foot soak is the perfect Mother’s Day gift for those moms who spend a lot of time on their feet. Put it in a beautiful jar to make mom feel extra special. 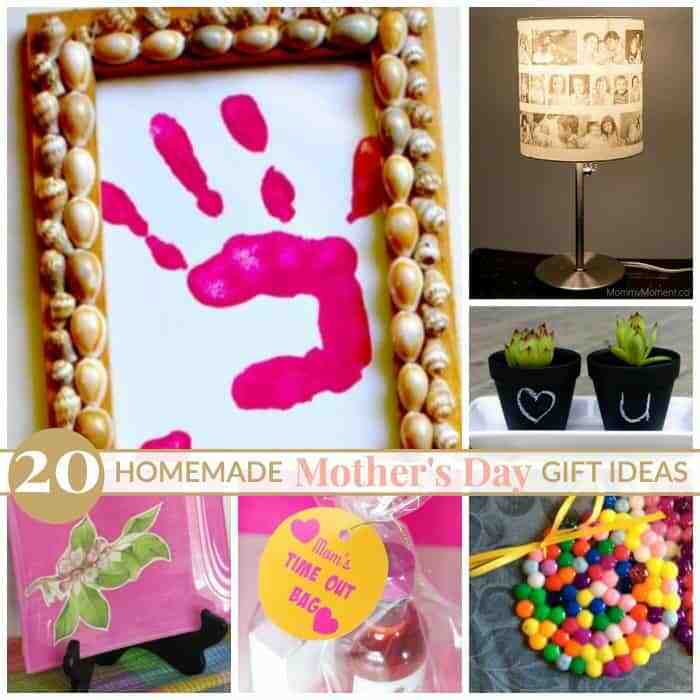 I love Mothers Day gift basket ideas that are simple to make. This Garden Gift Basket includes seeds, gardening tools, and a fun gardening magazine. Brighten mom’s day with this Mother’s Day Spring Gift Basket. Beautiful stationery, canvas decor, and a unique coffee mug will give mom’s office that sunny look of spring. Skip the roses, tulips, and daisies this Mother’s Day and gift your mom with some simple succulents. With this hanging planter gift basket, all mom needs is some dirt and water to create a beautiful flower oasis for her to look at each and every day. This cute DIY pancake gift basket has everything mom needs to make a batch of pancakes. Better yet, why not make the pancakes for her and serve breakfast in bed?? Which mom wouldn’t love a purse full of goodies? Buy mom a cute new purse and fill it with everything from jewelry to candles to gift cards and more! The best part of this garden gift basket is everything can be bought at your local dollar store! 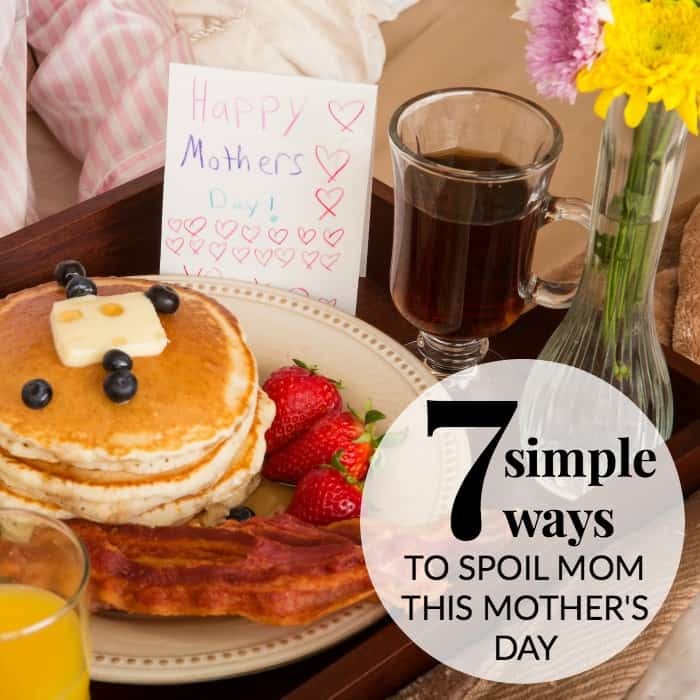 Moms deserve to be spoiled, and while sometimes it can be hard to come up with great Mothers Day Gift Basket Ideas, we hope you will find something in this list that will touch you and the mom(s) in your life! I have been making my mom a basket for Mother’s Day for several years now. I have done spa ones, gardening ones, perennial flower ones… She loves them! I would be more then happy to recieve any one of these basket for Mothers Day! I like the Mother’s Day basket ideas. Thanks.